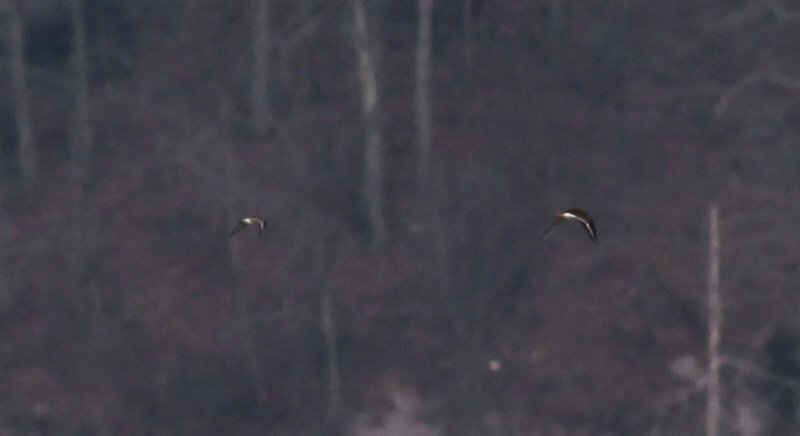 Terrible photo, I got this off as the Killdeer and Dunlin left Pace Point and flew around the corner on the TN River side. Not expecting a Dunlin on frozen KY Lake in January. Smaller size and bold wingstripe are noticeable compared to the Killdeer, which luckily you can see the orange tail on.